Drug RehabDoes Insurance Cover Rehab? Does Insurance Cover Rehab For Substance Abuse? Addiction rehab can be costly, especially if the individual needs lengthy inpatient care. So, does insurance cover rehab? If you have a marketplace insurance plan, mental health and substance abuse treatment is covered as an “essential health benefit” such as surgical and medical care. Behavioral health services are mandated to be included in all insurance plans. Click here for a list of insurance providers accepted at WhiteSands. Pre-existing mental and behavioral health conditions must be covered. No spending limits are allowed. You can not be charged more for any pre-existing condition including substance misuse. Your coverage for pre-existing conditions begins on the first day your policy is in force. Marketplace policies are not allowed to place a yearly or lifetime limit in the coverage of any essential health benefit. Substance misuse disorder and metal health issues are considered to be essential health benefits. If you or the family member you are concerned about is dealing with substance abuse issues, don’t put off seeking help another day. The opioid crisis in this country is killing tens of thousands of people every year. People of every age group, gender, and race are dying. They are celebrities, lawyers, teachers, teenagers, college students, neighbors, and they are poor, middle class, and rich. Overdose and death doesn’t play favorites. It can happen to anyone. Does Insurance Cover Addiction Rehab? Financial – There can not be greater deductibles, co-payments, coinsurance, or out-of-pocket limits than for medical and surgical needs. Treatment – There can not be limits for the number of treatment days or the number of visits covered. 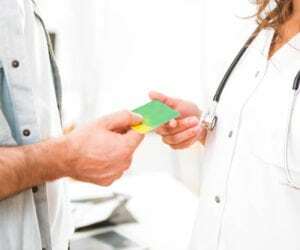 Care Management – There can not be requirements for getting treatments such as prior authorization. Many people do not realize the benefits their insurance provides for substance misuse disorder and mental health needs. The two often go hand-in-hand (co-occurring disorder) making these benefits especially important. If you are uncertain how your insurance distributes these benefits, call WhiteSands Treatment Centers at (877) 855-3470 and speak to a knowledgeable rehab specialist. They can help you understand the insurance specifics. If you have a marketplace policy, you have insurance for addiction treatment. Every day you put off seeking treatment is a day closer to a possible overdose. Too many families are suffering the tragedy of losing someone they love to the opioid epidemic or to disease caused by alcohol. Whether it is for your child, your spouse, or yourself, treatment is available through your marketplace health insurance policy. WhiteSands has inpatient locations in Tampa and Fort Myers FL. They also have numerous outpatient facilities through the state of Florida. They are a first-class modern addiction treatment center. Staffed with medical doctors, psychiatrists, nurses, and professional counselors. Their facilities are beautiful and comfortable. Call today (877) 855-3470.